Last week I posted about the new Chrome for Android beta app. 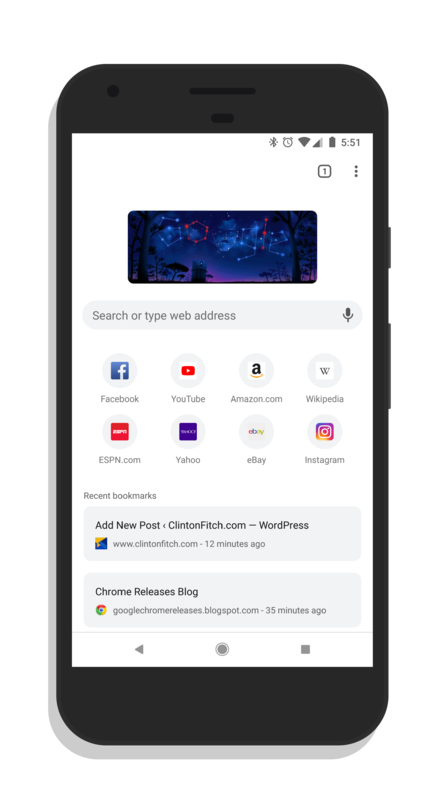 Unlike other beta programs in the Play Store, anyone can actually download the beta version of Chrome to their phone and give it a try without having to sign up for a formal beta program. The update brought Chrome 66 to the app and on the surface, didn’t bring a lot of changes. However, if you dig into the flags within Chrome for Android, you will find a new Chrome Modern Design option. Enabling this flag transforms the User Interface into a rounded, clean design that frankly makes the current Stable channel UI look really dated. The new look, which will likely go as the default once Chrome 66 hits the Stable channel, has much more of a Material Design look to it and fits more into place with how Google is making Android look and feel. Icons are rounded as are the end of the search bar. Hard squares for the tab indicators are now more rounded squircles too. If you have downloaded the Chrome for Android Beta app and want to enable this, go to chrome://flags and search for Chrome Modern Design. Enable the flag, restart the browser and badabing, you are good to go.